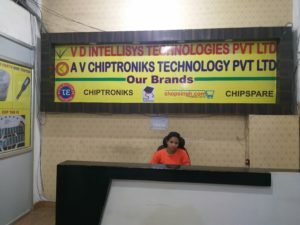 Chiptroniks laptop card level course is very different from regular card level courses taught at most of the institute. 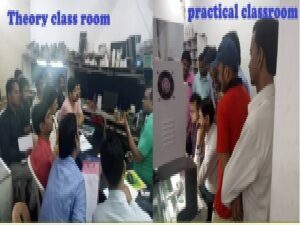 Our laptop card level repairing course covers the very practical approach which is followed in service centre. 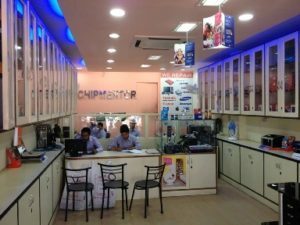 Basically we teach the laptop card level repairing tricks by which the technician can solve the problem in a very thorough and professional manner. Block diagram of laptop functioning. Installing windows xp1,2,3, Server 2003, Vista home , Windows 7, Server 2008, window 8. Windows Backup & Restore by use of inherent windows function and use of specialized backup tools. Adapters: Types, work, volt, Ampere, pin detail, Basic problem. Battery: Types of Battery, work, volt, pin detail, Basic problem. LCD: Types LCD, Company, size, Wideness. 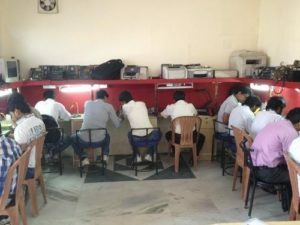 Inverter: types of Inverter, pin detail. Hard disk:- Type of Hard disk, Company. Keyboard: Type of keyboard, Basic problem. Body: Hinges size, Front Panel, back Panel. 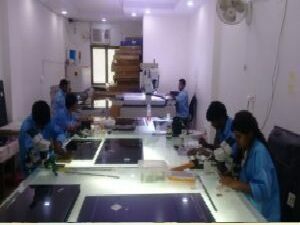 Motherboard:- Type of Motherboard, company, Identify. Ram: Types of RAM, Company , pin detail, volt. CPU: Types of Laptop CPU, Identify. CD/DVD: Type, company, Basic problem. Identification of IC’s and IC’s name. Laptop overheating and shutdown problem. Adaptor not working and not charging problem. Touch pad left and right button not work. Some key not work of keyboard. External sound not come problem. One USB port not work problem. DVD writer Data read problem. Different Laptop Bios setting concept. Laptop Password removing (admin and c-mos setup) methods. Different Laptop Bios setting practice. How to Replace Battery cells inside laptop battery. How to Bypass Windows 7 logon password in 3 Steps. Basic Cleaning and washing method of Motherboard. I would like to now your courses fees. Please can you sent for me them in e-mail.